We received this image of an advance copy of the upcoming Car and Driver issue, and guess what? It has the best view yet of Toyota's new Supra ahead of the planned launch tomorrow. to have given C / D access to these images much earlier than the rest of the automotive world. 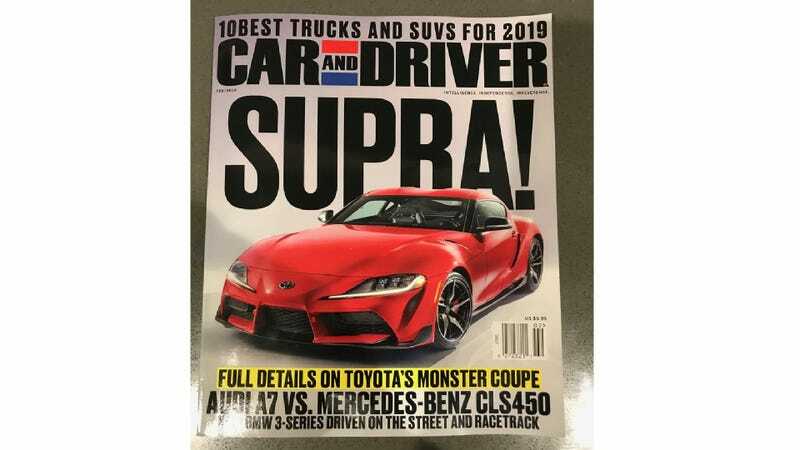 Because magazines exist in a different universe, this is the February 2019 issue, so why not use an image of a car that has been released unofficially a hundred times already. with all the details you can handle, as soon as the cover is officially pulled off of the car here in Detroit.